I was at the SM Mall of Asia last week because (insert top secret reason here) and at 3:00 pm I still hadn't gotten my lunch on. 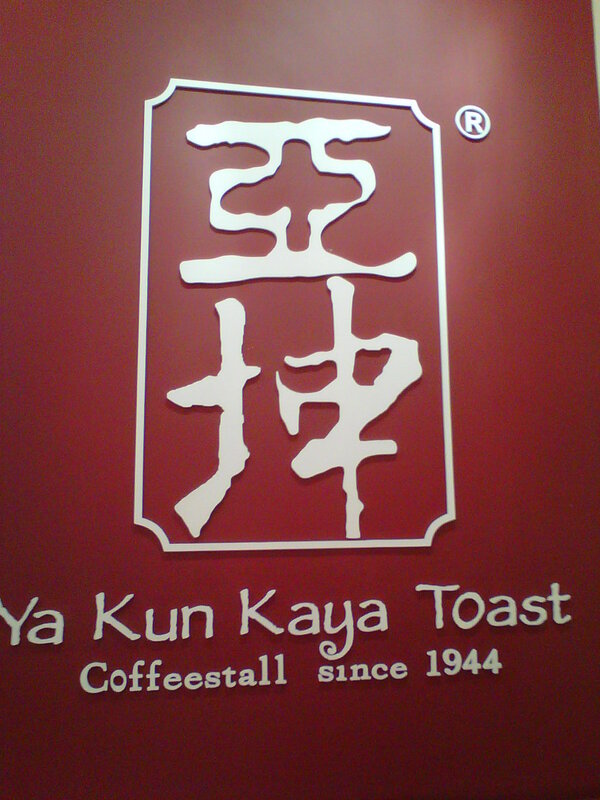 So (insert name of top secret person here) suggested for us to grab lunch at Ya Kun Kaya Toast. 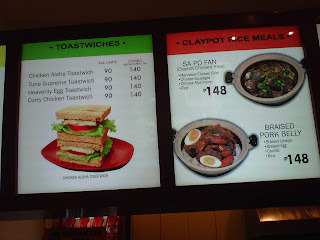 Toast for late lunch?! You betcha. 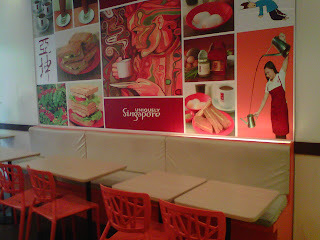 (Insert name of top secret person here) said that aside from kaya (coconut jam) and toast, that this place also served runny eggs. I've had a decent serving of toast and runny eggs at Kopi Roti before so I was excited to try their version. I'm a fan of runny eggs just because I do not know how to cook runny eggs without leaving them raw. The place wasn't dressed up to the nines but it looked clean and nice. 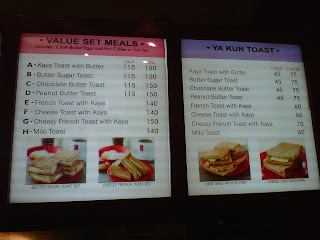 We ordered their 2 best sellers according to the Ya Kun Kaya Toast staff. 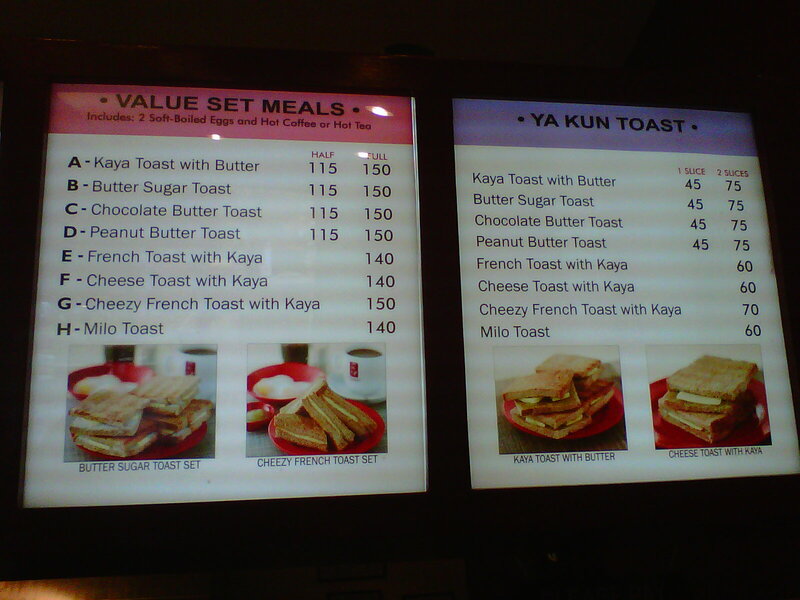 The Set A Ya Kun Kaya Toast with Butter and Set G, Cheezy French Toast. 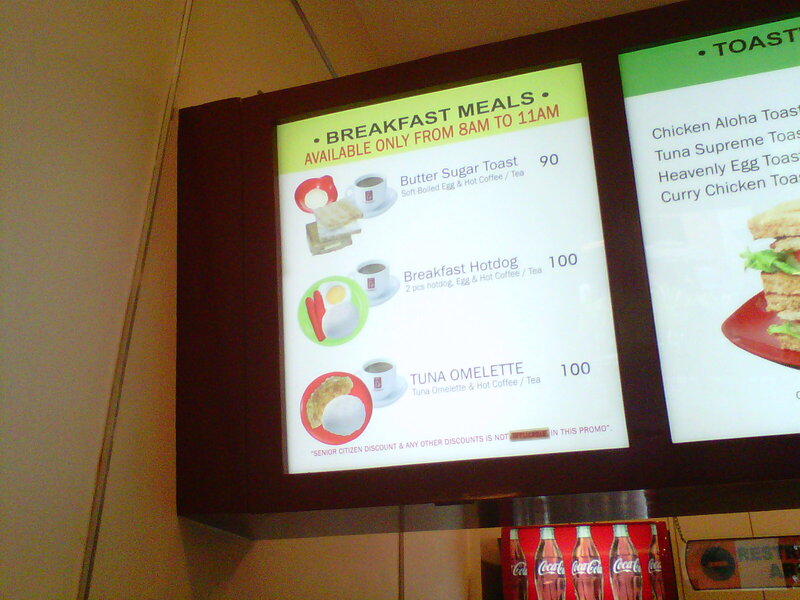 The set meals include 2 soft boiled eggs and your choice of tea or coffee which you can upgrade to a larger cup. They first served the milk teas. They were absolutely divine. 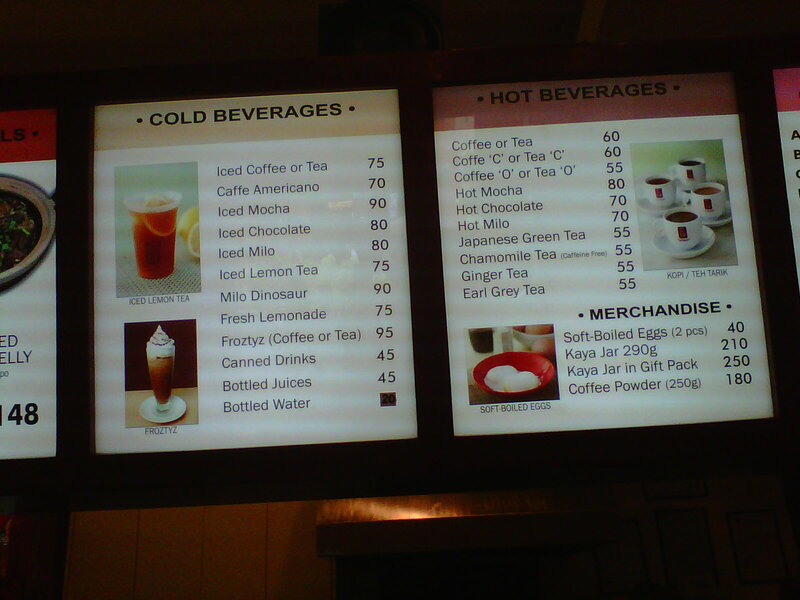 Remember when I said that I liked milk tea in this post? Well, I've never had hot milk tea that I liked before I had Ya Kun Kaya Toast's Tea "C!" Both creamy and silky smooth in my mouth but still retained its tea taste. It's like tea and milk married in summer and had a perfect baby in a mug. 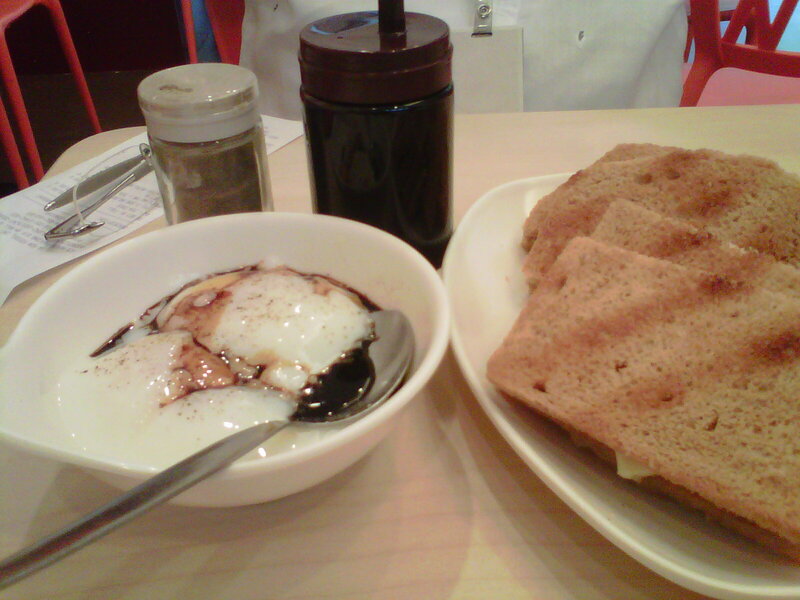 The Ya Kun Kaya Toast with butter is the perfect toast to dip in a small bowl of soft boiled eggs swimming in light soy sauce and pepper. With every bite, you experience a crunch that makes you wanna finish chewing on that bite and head for another. The Cheezy French Toast was OK... Nothing much to write about it with my limited vocabulary. Get set A for your first try in this place. Best to have their signature "dish" after all. 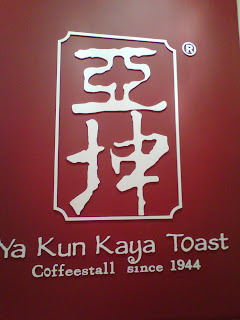 And definitely try their Tea "C."
Ya Kun Kaya Toast's Set A goes beyond breakfast for me. It is simple but filling and the perfectly cooked soft boiled eggs are the right compliment to that crunchy toast. And that kaya on the side gives it a sweet balance. How to contact them and how to get there? 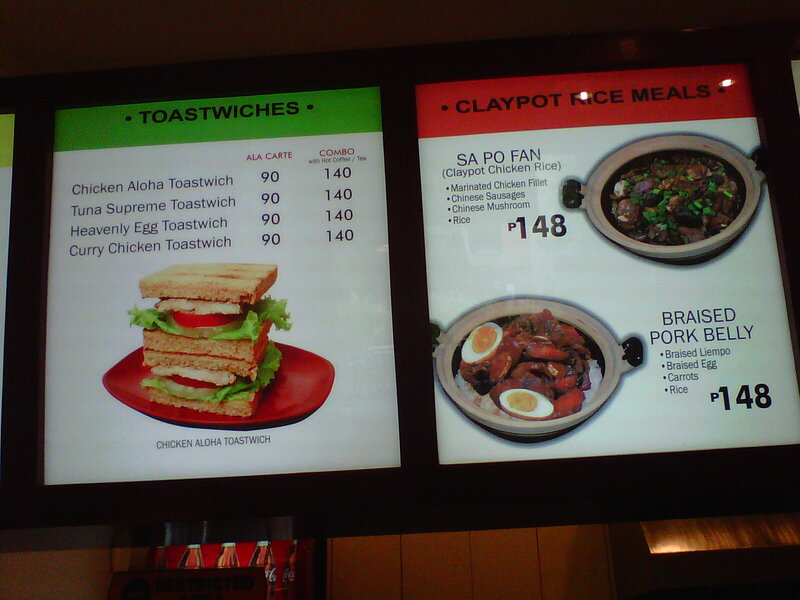 I love kaya toast! :) not a fan of their eggs though. 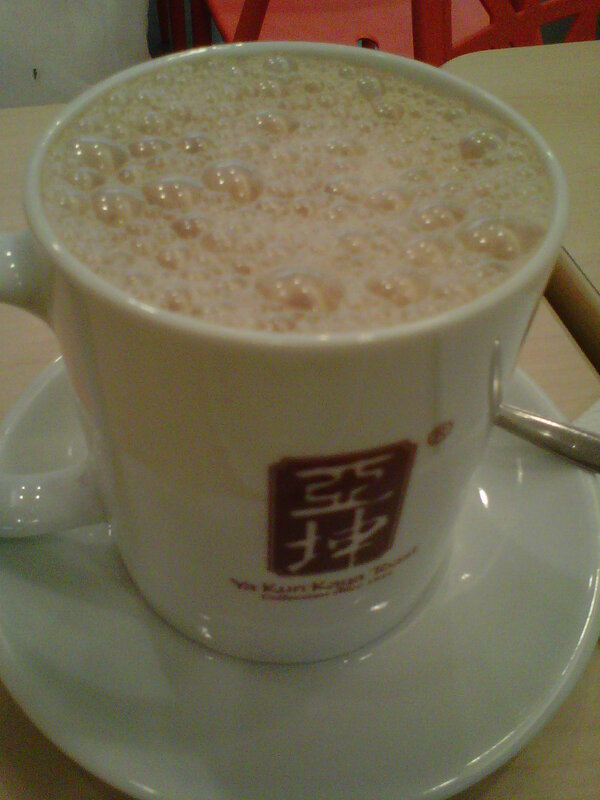 The milk tea looks like a cup of oatmeal ah. Hihi. 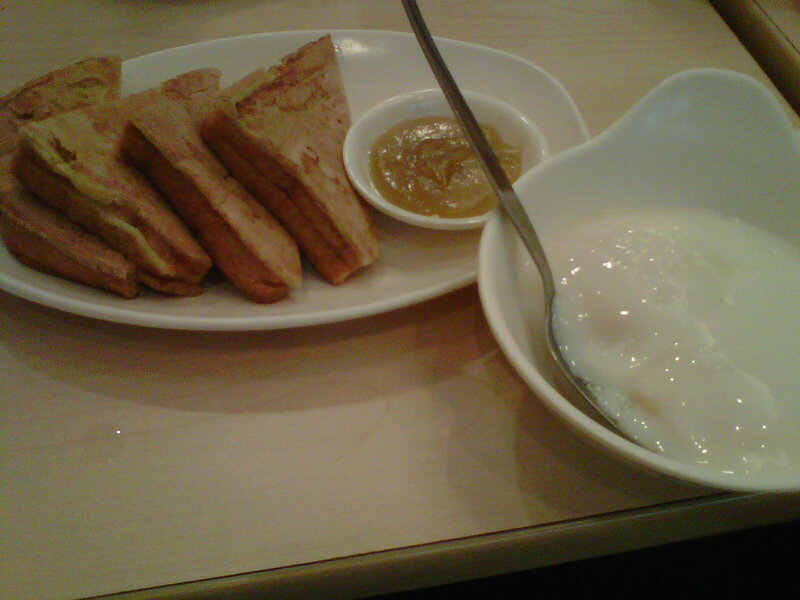 Not a fan of milk tea but I like toast. I don't think I've ever been to a place that is dedicated mostly to toast. Sounds really interesting. :P Thanks for sharing! @kristen -hehe what didnt you like about the eggs? @cheska and mary - welcome! ^ahhhhh over easy is my thing :) to each his/her own! Thank you for leaving a message and commenting. You get +1 experience point in life per comment left in this blog, didja know that?! Looking for an additional income stream? Christia's World is the brainchild of a team made up of a couple and their dog that decided to try their luck on putting their thoughts out in the interwebs. After researching which topic to focus on and getting scared by the plethora of online scam horror stories, this blog was born. This blog currently focuses on restaurant reviews, things that matter to us and spa experiences just because. We also added a top 7 countdown. If it's good enough for the Snow White dwarves and the wonders of the world, then it is good enough of a count for us.